This week’s episode comes to you from the Brattle Theater in Boston. 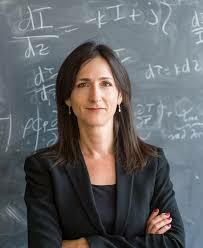 You’re the Expert presents Dr. Sara Seager, a professor of astrophysics and planetary science at MIT. Dr. Seager’s work focuses on the science and theory surrounding exoplanets, or planets beyond our solar system. She was working towards her PhD at Harvard in the mid 90s when scientists first began seeing evidence of exoplanets. Since then, Dr. Seager has focused her research on the theoretical models of atmospheres and interiors of exoplanets. As a member of the team responsible for co-discovering the first spectrum and first light detection of an exoplanet, Dr. Seager’s passion for astronomy has brought her to the forefront of her field. Exoplanets, or possible new homes. As Dr. Seager said in her 2015 Ted Talk, the discovery of extraterrestrial life is within reach for the first time in human history. Understanding the atmosphere of an exoplanet is fundamental to determining whether or not an exoplanet is a “Goldilocks planet”, with an environment capable of supporting life. Seager, S., & Sasselov, D. D. 2000, “Theoretical Transmission Spectra During an Extrasolar Giant Planet Transit”, ApJ, 537, 916-921. Madhusudhan, N. & Seager, S. 2010, “A Temperature and Abundance Retrieval Method for Exoplanet Atmospheres”, ApJ, 707, 24-39.